So this past month I participated in a MOOC (Massive Open Online Course) through edx.org. 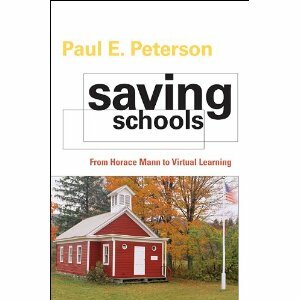 The course, offered by professor Paul E. Peterson from Harvard University, was the first in a mini series about “Saving Schools”. The first course specifically focused on the history of schooling in the U.S. and it was a fascinating look into how schools have developed into the bureaucratic systems they are. The format of the course was simple: each week there were lecture videos followed by multiple choice questions. Then every week there were also required readings and forum discussions to go along with it. The six week course flowed in chronological order of the history of schooling, so it was easy to see the transition from one development to the next. All of the changes that have occurred over the past century have created a lot of complex and interwoven issues facing our nation’s schools today. Issues such as teacher tenure, charter schools, educational inequality, school accreditation, standardized testing, and Common Core all have basis in the history of schools. The reason these issues are so controversial is because very few people understand the history of schools and are therefore skeptical of changing a system that has been in place for so long. From having taken this course, I can now easily see how the inequality and stagnation became a part of the U.S. school system. I thoroughly enjoyed learning about how the history of education has lead to the reform movements of today and why schools are so resistant to change. I have a much better grasp on the reform policies because I now understand the background to how the controversial and archaic policies came to be in the first place. After taking this course, I believe that all students entering the teaching profession should have to take a class on the history of education and also on education policy. It’s imperative that teacher preparation programs instruct future teachers on how to lead and agents of change in their schools. They should be informed on how schools work and how they are run so that teachers can have more voice in the policies that affect how they do their job. Now, I feel more empowered as an educator. As I look around the educational inequity that exists, I have a better grasp on the complexities facing policy makers who seek a solution. Yet the schools of the future demand change. The importance of history is to learn from it so as not to repeat past mistakes. Moving forward, there is no doubt that the modern age desires a different approach and an altogether re-design of how students learn. I’m excited for the next three courses in the mini-series to find out more about how we can make this happen.